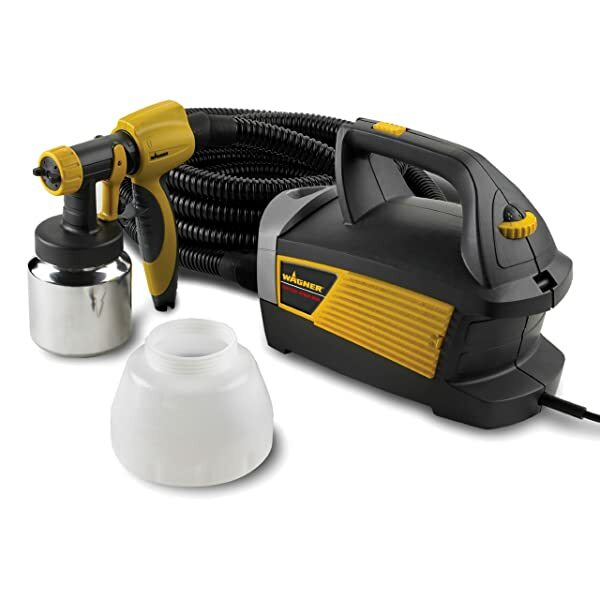 A paint sprayer typically requires hookup to some form of air supply (like an air compressor) in order to properly atomize the paint. Only some HVLP models and airless models can get away with spraying pain without an air compressor. 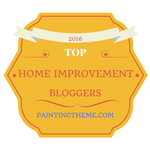 So what's the best air compressor for painting? Thankfully, this guide is here to show to you the considerations required to shop for the right air compressor for your spraying needs, especially when it comes to spraying cars. Here are the things to keep in mind when it comes to picking air compressors. Many sprayers can operate fine without needing a great amount of PSI (pressure per square inch) from them. It's enough for them to have 10 PSI, in fact. This means you should focus more on the CFM (cubic feet per minute) rating of every compressor. The more CFM you have, the faster the air compression process is, enabling the compressor to keep up with the demands of your paint sprayer (like when you have to paint a whole car). Another way to streamline your air compressor for painting shopping is to find a compressor with a matching CFM rating to what's recommended for sprayer's use. It works vice-versa. If you already have a compressor and all you need is a sprayer, the sprayer you should buy should match the CFM of the compressor you already have. This works even with LVLP (Low Volume Low Pressure) or HVHP (High Volume High Pressure) sprayers. However, there are some models that will give you a 12-14 CFM, meaning you'll need a commercial-grade dual tank for that sprayer since a portable air compressor isn't powerful enough to offer that kind of CFM capability. 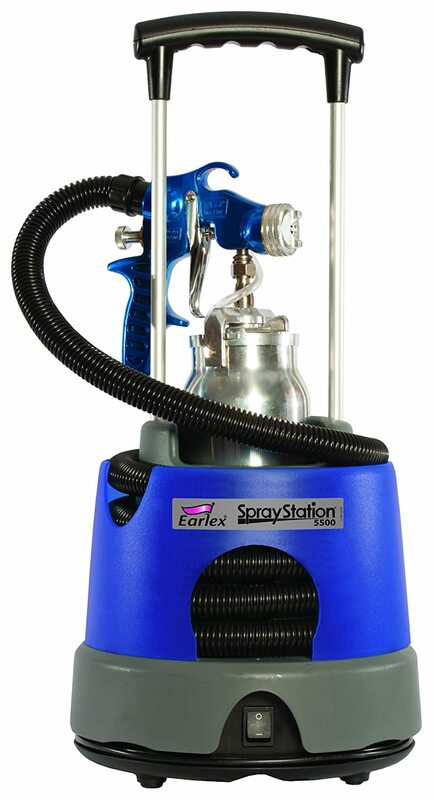 In regards to sprayers for air brushing, just about any air compressor will work so you can go the portable or non-portable air compressor route if you're air brushing something since an air brush sprayer requires minimum PSI and low CFM at best. 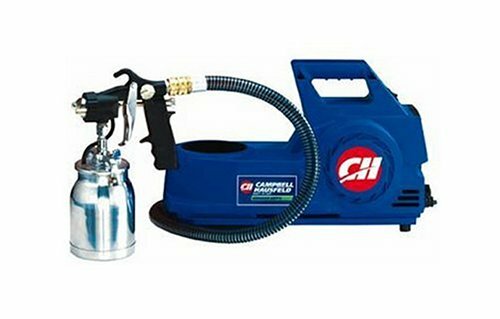 Even though your CFM rating for your air compressor is less than ideal for your available paint sprayer, that doesn't mean you can't use them together. It instead means you can't paint continuously or without interruptions. Did you know that you can end up with higher CFM levels by chaining together multiple small compressors together? You can do this when you have to paint an object or vehicle on short notice and have no big compressors with the right CFM rating available. The horsepower of your compressor is obviously an important consideration, but only when you convert it in terms of PSI and CFM. A compressor with 1 HP that offers 40 PSI and 6 CFM is adequate for a sprayer with a 4-6 CFM in order to work. When operating, an air compressor tends to generate loads of heat. This is particularly the issue when it comes to oil-less portable varieties that are used for basic do-it-yourself work. This can affect the painted surface's results if the work is being done in an enclosed room. Therefore, it's important to ventilate the enclosed area for personal safety as well as ensuring you get a smooth finish not warped by the heat. As a rule of thumb, a name brand air compressor will usually deliver better and more consistent results compared to a more generic or off-brand one. This isn't always the case and there are some flawed products out there regardless of its manufacturer, but most branded compressors come complete with a better motor that can always help squeeze out a CFM or two out of your sprayer. If you want to buy a compressor that lasts, get the ones with the highest PSI and the most CFM that you can afford (while keeping mind that CFM is more important than PSI). 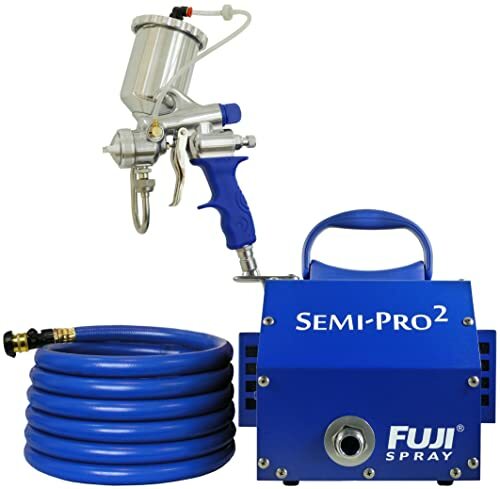 If you can get your hands on a 2 HP air compressor that delivers about 40 PSI and 8 CFM, you can use it for most if not all paint sprayers in a consistent basis, from air brush sprayers to outright vehicle finish sprayers. With that said, here are five air compressors you should consider buying. Right off the bat, the main things of note about the PORTER-CABLE C2002 is its specs of 90 PSI and 2.6 SCFM that enables you to spray and recover quickly (according to ISO1217 certification standards). It also has a max tank pressure of 150 PSI so that your tank can store more air for longer tool runtimes. You don't have to take too many breaks for air refills or anything to get the compressor going. This Chinese-manufactured compressor is also known for its durability and ease of use as far as I'm concerned because I encountered no problems putting it on my sprayer and calibrating it just right to start spraying right away. This oil-free unit also worked pretty much consistently and has not broken down once, hence my vouching that it really is tough and long-lasting. It's a large capacity kind of tank that's more than what you need as far as most spraying applications are concerned. From my own experience, you can use it to spray your car, fence, gate, furniture, and so forth in a dependable fashion. It's also quite compact for a garage woodshop or car mechanic shop that's three cars big. Just remember to plug it in then let air circulate through the system by opening the bleed valve in order to "prime" it then let it run for a few minutes before closing the valve. My only complaint is that it's noisy. Bostitch BTFP02012 6 Gallon 150 PSI Oil-Free Compressor has a lot going for it. 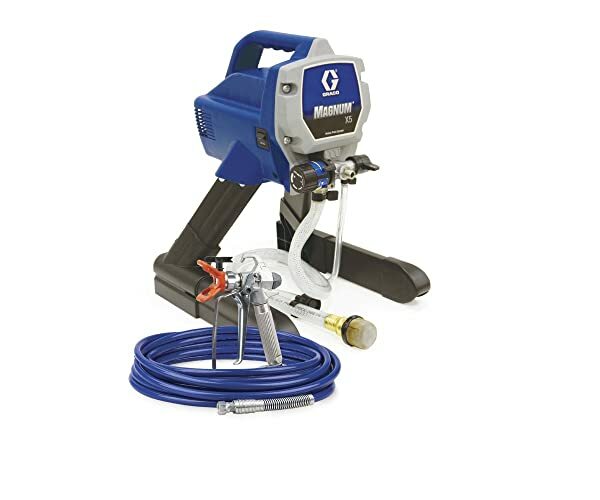 It has couplers and a high flow regulator that maximize its performance when it comes to spraying paint and other compressor-type applications. Its operational noise level is a truly quiet 8.5 decibels. In contrast, simply breathing has a 10 decibel noise level while whispers or rustling leaves are 20 decibels. If you're concerned about cold starts, the motor of the Bostitch is made to easily start at the push of a button like an electronic appliance. It's also a long-lasting compressor because it works oil-free (just like PORTER-CABLE C2002) and maintenance-free, so you can conveniently use it every time without being a high-maintenance tool you have to tune up every time. As for its specs, it has a maximum of 150 PSI working on a 6-gallon or 22.7-liter tank and 2.6 CFM delivered through a 90 PSI pump. It's also capable of reaching maximum pressure in a short amount of time. Long story short, it's comparable to the PORTER-CABLE C2002 in terms of CFM, max PSI, oil-less usage, and pancake look with additional perks like its quietness. When I used it, I had no issues with air leakage and also approve of how quickly it charges and how portable it is. You can buy a version of this unit that's plug-and-play in the sense that it already has all the plugs so all you need to do is put the sprayer onto it and start spraying. Just close the air relief nozzle on the device's underside because it's usually shipped open rather than closed. The California Air Tools 5510SE is relatively quiet for an air compressor at 60 decibels but it sounds like an airport compared to the 8.5 decibels of the Bostitch BTFP02012 (which is quieter than rustling leaves or a whisper). This is yet another oil-free pump that requires less maintenance and fewer costs. It works at 2.2 CFM at 90 PSI and 3.1 CFM at 40 PSI with a maximum 120 PSI pressure. Right off the bat, you'll notice that it has a lower max PSI than both the PORTER-CABLE C2002 and the Bostitch BTFP02012. On the flipside, it does have a better duty cycle that enables you to continuously use it. What's more, it features a strong enough PSI and CFM not only for the sake of air brushing, fence spraying, and putting on the paint finish of a car. It's even strong enough to help inflate a car tire too. While not as quiet as the Bostitch BTFP02012, it's still relatively quiet at 60 decibels (as quiet as a conversation in a restaurant or background music). This device can also be used with air chisels, impacts, butterflies, ratchets, and drills to boot with no issues. Naturally, the high impact half-inch drill and any other tool that requires more air flow can only operate for a few seconds (like 50 to 20 seconds). This version of California Air Tools, the California Air Tools CAT-1P1060S is even quieter than the California Air Tools 5510SE by about 4 decibels (it's 56 decibels). It's rated at 1.2 CFM at 90 PSI and it's also lightweight at 29.5 pounds. Instead of a pancake compressor, it has a 1 gallon steel tank plus the usual oil-free pump so that you won't have to worry about costs and maintenance that much. It sprays superbly but that's just a low test of its full capabilities. It's powerful enough to make framing nailers or nail guns and pressure staplers work as well. However, there's some expected recovery time of about several seconds in light of their PSI and CFM needs. The good news is that only when I pushed the device to the brink did that recovery time became quite apparent. I even went to the trouble to test the compressor on my own time to check if it really performs according to the listed specifications. It's certainly less obstructive noise-wise than my other pancake processors that can wake the dead with its noisiness within a minute and a half. At any rate, its original purpose of spraying evenly and consistently without delay is not hampered by any flaws at all. It works like a charm even, in my opinion. This particular pancake compressor for spraying and other miscellaneous applications (like powering pneumatic power tools or inflating tires). As expected of a device bearing the DeWalt name. The DEWALT DWFP55126 6-Gallon 165 PSI Pancake Compressor has the highest max PSI of all the compressors on this list at 165 PSI. Its 90 PSI pump, meanwhile, can deliver 2.6 CFM. As for its motor, it shares the same easy push-button startup seen in Bostitch BTFP02012. You can also use it for extension cord application (for cords reaching 50 feet). Tool performance is made more efficient by the high flow regulator from my experience. The 75.5 decibels of the DEWALT DWFP55126 is indeed much louder than the 56 decibels of the California Air Tools CAT-1P1060S and the 60 decibels of the California Air Tools 5510SE. It's also better built than most of the competition. Even though there are a few discrepancies here and there in terms of stats and specs, the overall winner in my estimation is the DEWALT DWFP55126. It has flaws, like undersized ball bearings within its fitting leading to leaks from the joint plus the coupler and fitting. Otherwise, it performs as superbly as many of the compressors here while epitomizing their best traits, like relative quietness and consistent performance. When buying a paint sprayer air compressor, keep in mind of the varying price ranges you'll have to deal with. The smaller ones tend to cost a decent $75 if you watch out for a good sale or bargain. Meanwhile, on the more expensive end of the price range, you can get a contractor-grade air compressor that will practically last you a lifetime at $1,000 but might not have the CFM you need. You can hedge your bets and get something decent in between that range.